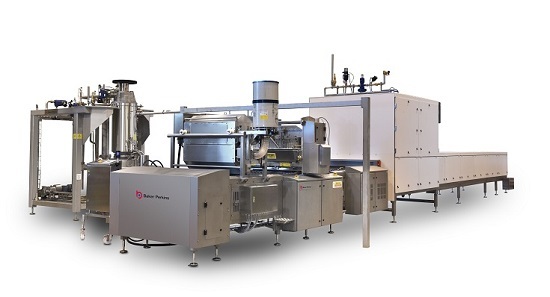 Baker Perkins is working with Rousselot on new process and ingredient technology for the production of gelatin gummies on their starch-free depositing systems. World-leading gelatin producer Rousselot’s new SiMoGel™ solution allows gummies produced on Baker Perkins’ ServoForm™ depositors to dry in minutes, rather than the 24 hours typical with a conventional starch moulding mogul. 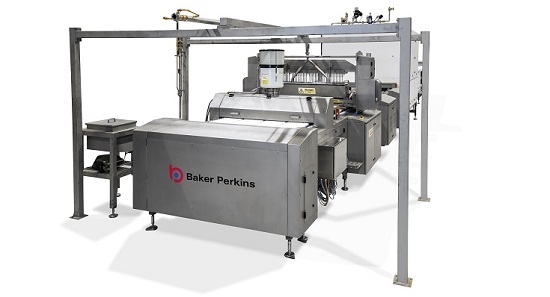 Baker Perkins has over 40 years’ experience of cooking and starch-free depositing in hard and soft confectionery, with more than 500 lines installed worldwide. This new capability is making rapid inroads into the growing jelly and gummy sectors by adding chewy textures to the range of products that can be made on a starch-free line. Traditionally, these have been made in starch moulds while softer textures using pectin, carrageen, starch, or a combination, have long been manufactured successfully on starch-free lines. 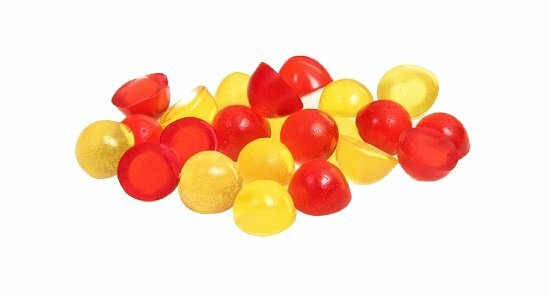 Starch-free depositing of jellies and gummies offers substantially reduced capital and operating costs compared with starch moguls, with significantly improved hygiene. Lower operating costs are based on eliminating consumables and reducing energy consumption as well as requiring less labour, cleaning and maintenance. This makes gummy production economically viable for companies of any size, from start-up operations to established high-output manufacturers. 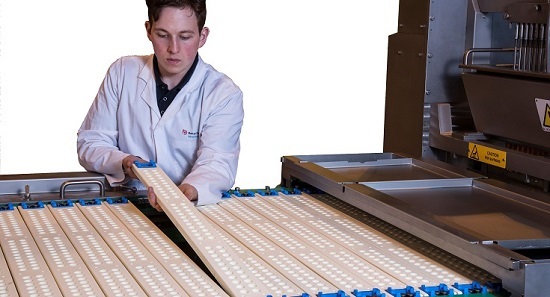 The accuracy and hygiene of starch-free moulding make it the ideal process for the functional and medicated confectionery sector. Products are of consistently high quality to support high pricing and healthcare positioning. 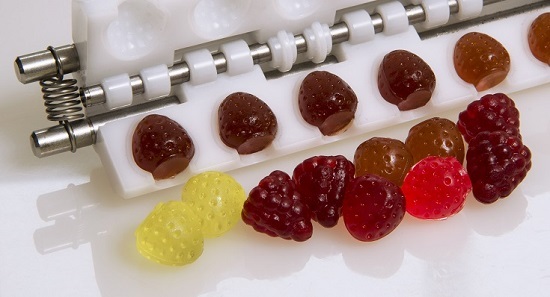 Baker Perkins’ starch-free jelly and gummy depositing systems offer a unique capability to produce full-form three-dimensional jellies and gummies. This is a new high-value segment into which Baker Perkins has recently introduced the first high-output high-efficiency machine, with a patented mould design ensuring 100% ejection of the products.